Bottle vase A over M.
8 in high, seems competently made and glazed. 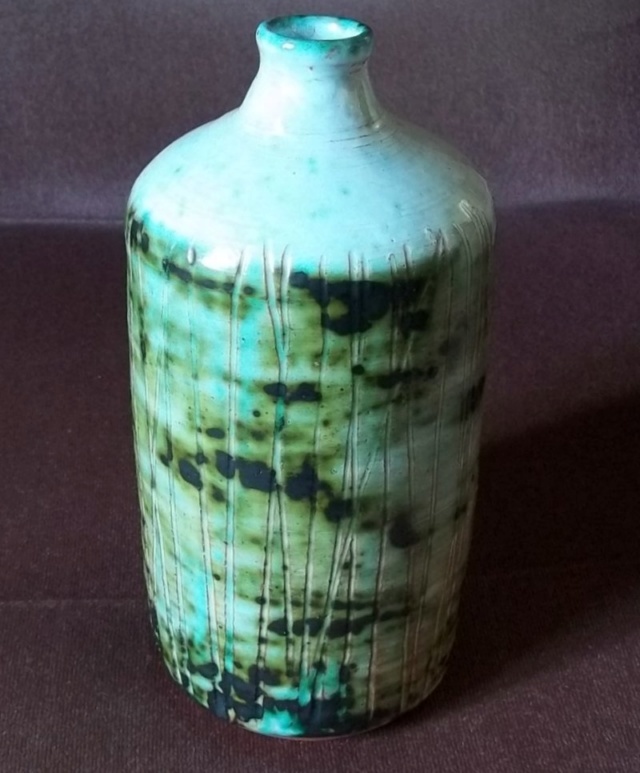 Re: Bottle vase A over M.
It makes me think of the French artist, Jacques Blin. Because of the decoration. 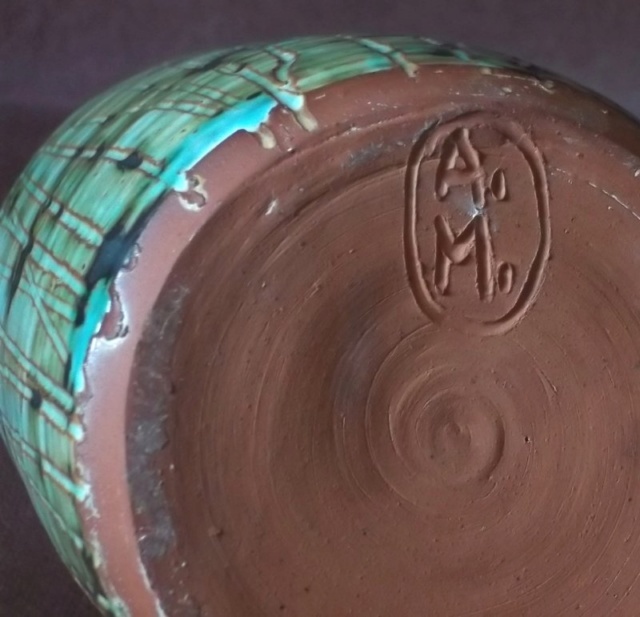 deeply marked in the clay.